Your wedding day will be one of the most important days of your life, and will create a lasting memory. Let us help create the best possible memory by providing professional DJ services for your ceremony and reception. We’ll start off by meeting with you to customize our services for your big day, matching our music and lighting to your taste and décor. We then work with you on every detail until the day of your wedding. 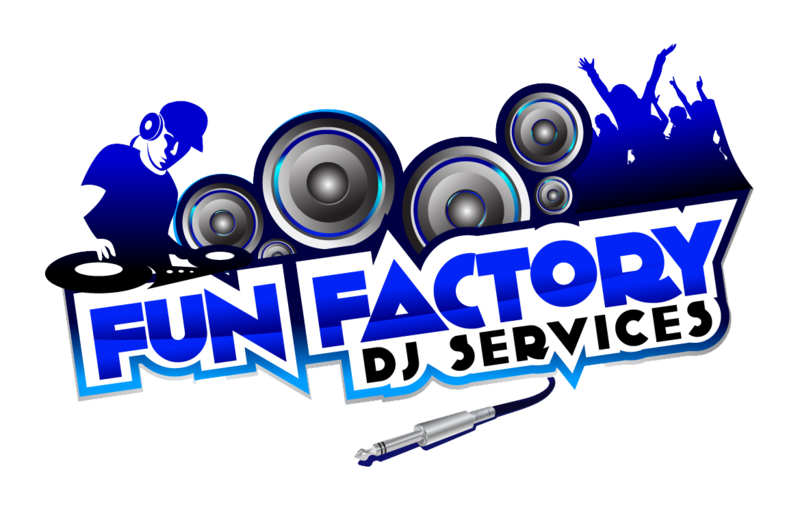 Fun Factory DJ Service will make your corporate event an unforgettable evening for your employees, clients and customers. We will work with you on music selection, décor and any specific requirements that you may have. We’ve even created fun and interactive ways to call the tables to the buffet that will be unique and will take the monotony out of the wait. Take your event to the next level by allowing us to be a part of it. Having a school dance, banquet or tournament? Music can make or break your event – Let Fun Factory bring the FUN to your party. We’ve got the latest hits and the hits of yesterday accompanied with the latest in lighting technology. We’ll customize the package for your party to include the music selection, lighting, emcee and décor that best suits you. Our number one goal is to make sure that EVERYONE has fun. 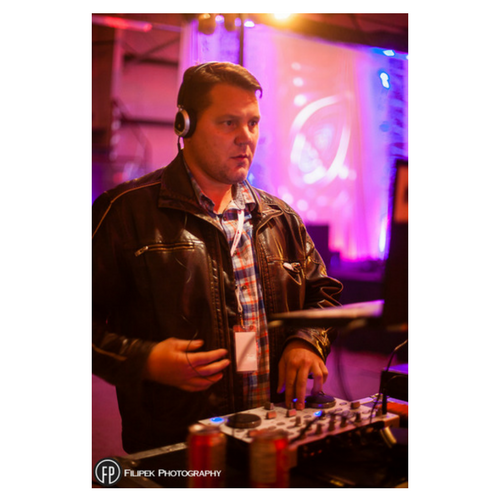 Let us bring the party to your Wedding or Event with our DJ services! 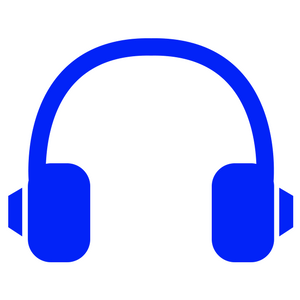 We have over 30,000 songs perfect for any occasion. From dance floor hits to low key dinner music, today’s hits or yesterday’s classics – we’ll put together a selection of music to complement and complete your event. Give your event what it needs! 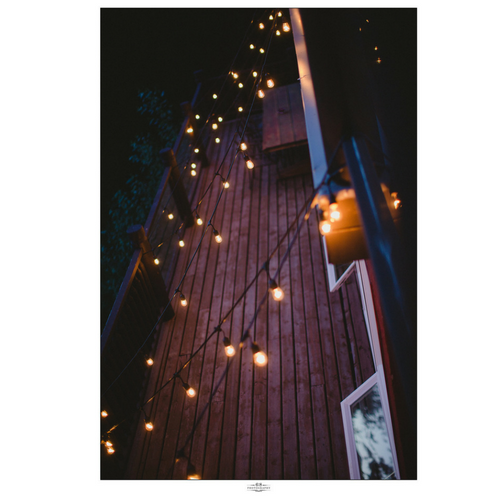 Quality lighting can change the look and feel of any room. Let us know what you are looking for, and we can customize a package that will suit your space! The place you spend the most time at your wedding – the dance floor! 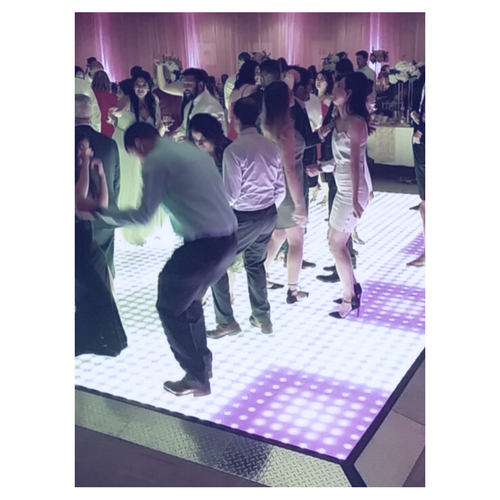 We can keep it packed all night with our music – but an LED Dance floor will take the experience to the next level. Plus, it creates an incredible backdrop for your evening photos! We guarantee this will entertain your guests for the evening! We have on site printing so that your guests can take home some memories – and we will save copies for you as well! 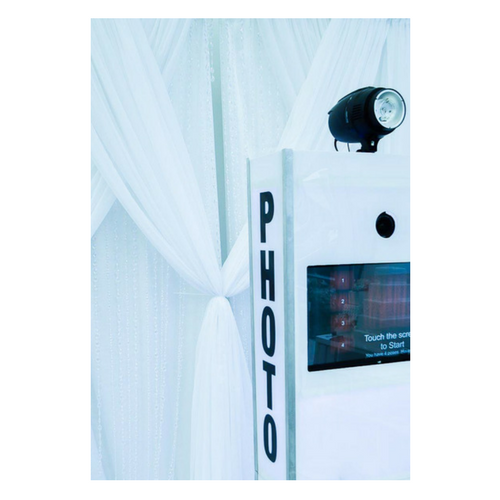 We come fully equipped with a bunch of props that will have your guests laughing all night long. Contact us to Book your Wedding or Event Services! Contact us to book your Wedding or Event Services, or take a look at our packages. We offer several standard packages that cover most events. If you require customization we’re happy to help!